Silver fillings are made with amalgam, which is a combination of metals, including silver, mercury, tin, copper, zinc, indium and palladium. It has been a very popular and effective filling material used in dentistry for over 150 years. However, it can have a very negative effect on teeth. Leaving silver fillings in too long has been shown to cause corrosion, micro-fracture, deep decay, nerve damage and cracked teeth. 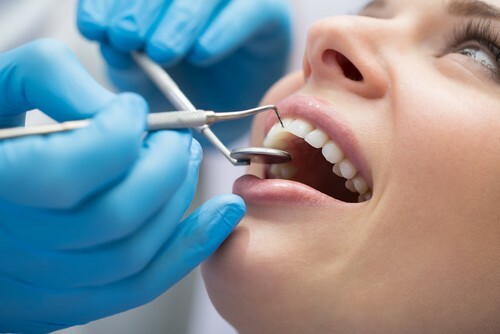 When an old silver filling loses its seal or begins to chip, bacteria can seep under the edges. New cavities can form underneath and the loosened fillings turn into internal wedges. This results in pain, tooth fracture, and in extreme cases, tooth loss. To prevent this from happening, replace your old silver linings with composite resin. Concern has been continuously rising over the mercury in amalgam. Mercury is used to help make the material pliable. When amalgam is mixed with an alloy powder, it makes a compound that is soft enough to mix and press into a tooth, then hardens enough to withstand biting and chewing. The controversy over mercury in amalgam focuses on how much mercury actually leaves the filling and enters the body. Research has shown that very small amounts of mercury (in the form of vapor) can be released into the body from the amalgam filling wearing down. This controversy is still ongoing, but mercury has been shown to cause harm to your body.